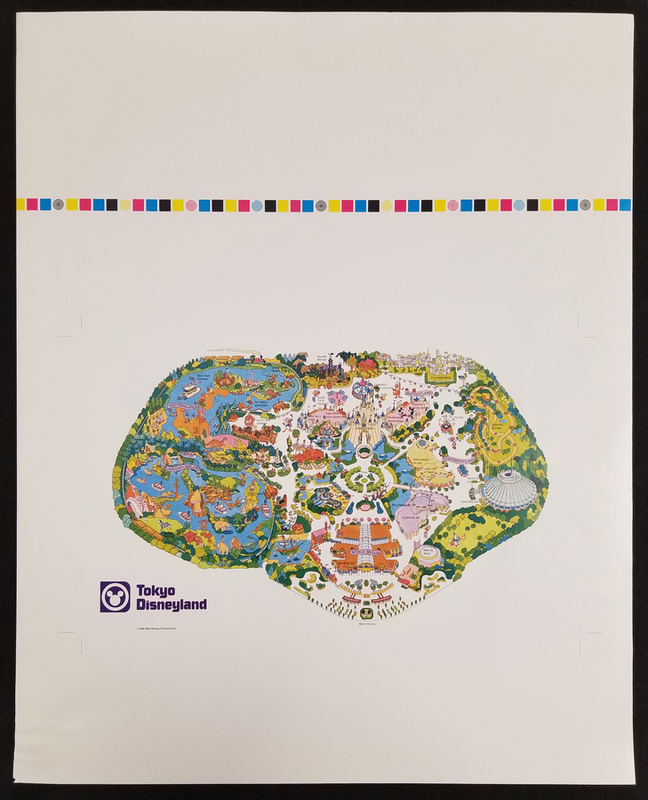 This is a printer's test proof printing of an illustrated map of Tokyo Disneyland. 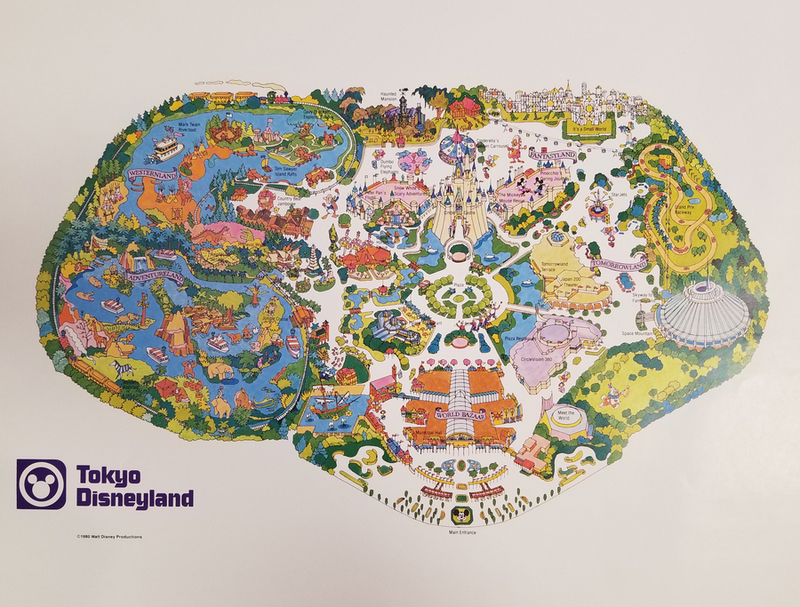 This map features the general layout of the park and was created in 1980 while the park was still in construction, so the illustration is a projected layout of the park. The overall measurements of the piece are 25" x 20.25" and the image itself measures 9" x 15".The map is in good condition with various areas of minor damage including water damage and wrinkling to the lower left corner and wear to right edge, but no damage affecting the actual imagery of the map.